Oh ya.. I almost forgot.. 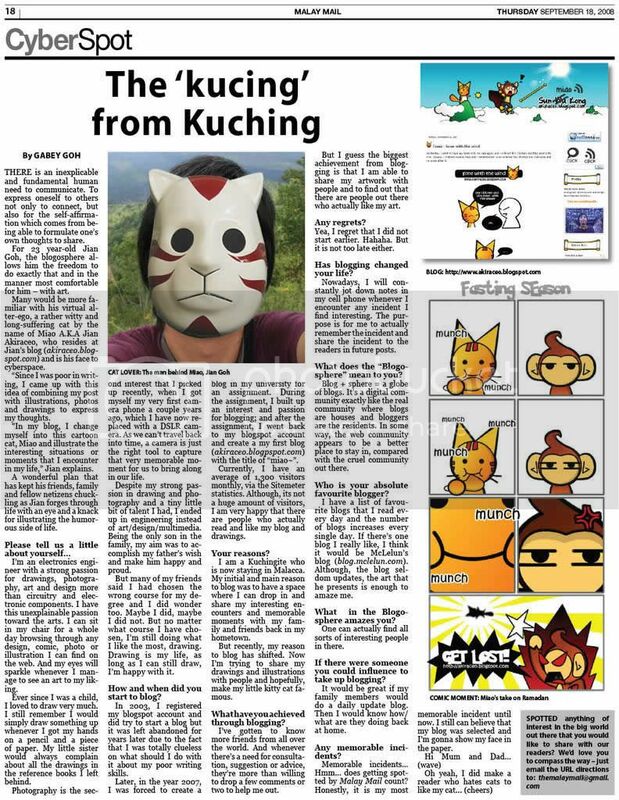 Seriously, why can’t these people just sit quietly and enjoy the movie T 3 T.
Posted on May 3, 2010 by Jian Akiraceo. 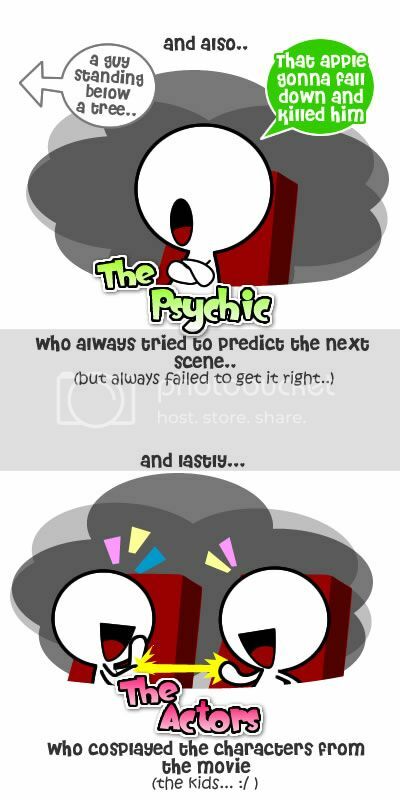 This entry was posted in Cinema and tagged movie goers, movies, the actors, the forumer, the lucky one, the narrator, the psyhic, type of people in the cinema. Bookmark the permalink. you went to watch Ironman 2 right? You sure are a Lucky One.. It was funny that you sat in the middle while the “Interesting” ones were all around you. Hahahah……… lovely drawing as usual. I will make it unclickable. Hahaha know someone like it? 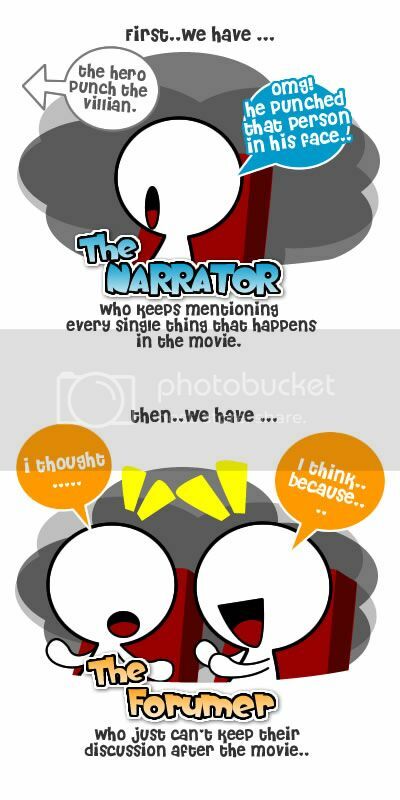 haa… that was funny, and i think i’m one of the white people in the cinema when i watch a movie in cinema…. hee…. I hate those people very much!!! Why don’t they buy a whole theater for their habits? haha! this is dam good la! very true! 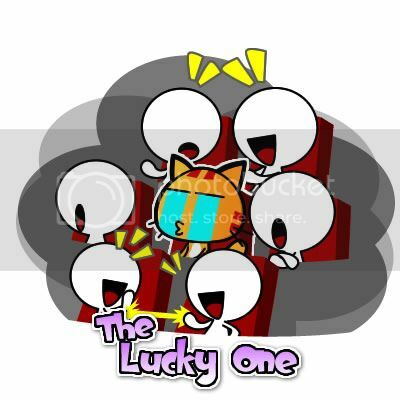 U R THE LUCKY ONE! hahahaha coz u also the same? 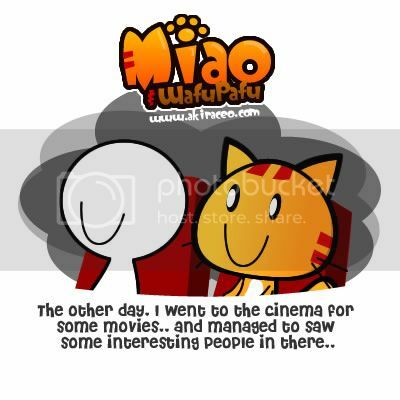 Pingback: The Cute Talkative little Girl in the Cinema « Miao & WafuPafu Comic Blog | Cuteness Overdose!